When a tooth is damaged or in need of a root canal, our in-office crown technology designs your final restoration in a single office visit. At SmileArts Dental Studio, we use CEREC® (Chairside Economical Restorations of Esthetic Ceramic) to create beautiful, long-lasting ceramic crowns with one dental appointment. If you would like more information about same-day CEREC crowns, call our Yukon office to schedule an appointment. With our CEREC milling machine, we decreased the time involved with traditional crown placement. 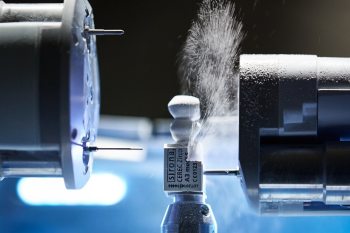 What is typically a two-week process, CEREC crowns are delivered in one office visit by designing the tooth in-house, omitting the turnaround time of sending images to a lab to create the restoration. After your initial exam, Dr. Cohenour will proceed with required dental work before creating the crown. 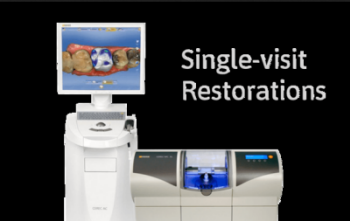 The process starts with a 3D image of your tooth and immediate area. This image is then used to create a set of ‘blueprints’ which is used by the computer-aided design and manufacturing (CAD/CAM) technology of CEREC to take a single block of ceramic and turn it into a precise, natural-looking crown. Our in-office milling machine crafts your tooth restoration while you wait to eliminate the need for a temporary crown associated with traditional services. Once set in place, your new capped tooth will resemble neighboring teeth and give you a cosmetic smile. The strength and exact design of your same-day crown support your bite, giving you the fullest function possible from a restoration. Whether your tooth was cracked, broken, treated, you can leave the office knowing that the health of your smile is protected. A tooth suffering from damage or decay requires restorative care to save the natural anatomical structure while keeping the smile completely functional and beautiful. Root canal therapy requires a crown to protect against reinfection. Other issues like cracks, chips, or fractures may also warrant the need for replacement of the anatomical structure to protect the tooth from damage or infection. Crowns protect teeth from further trauma and decay, improving its structural strength and providing patients with a replacement cap for their smile. CEREC technology streamlines the need for crafting customized crowns to fit uniquely to the patient’s smile. Patients benefit in both convenience and reliability, as the dental crowns are crafted from a single block of ceramic to preserve the structural integrity of the porcelain material. Restorative Dental Care Tailored to Your Lifestyle – Schedule a Visit Today! SmileArts Dental Studio in Yukon, OK delivers professional, modern dental procedures and services to improve aesthetic and functional results. With an eye for detail and investments in state-of-the-art technology, Dr. Cohenour attends to patient’s dental needs and smile desires with every visit. To find out more about dental services in Yukon, or to schedule your same-day crown appointment, contact our office.